The weekly fantasy rollercoaster has been in full affect in 2016 and injuries continue to be the major storyline of the 2016 season. And if there weren’t enough things to juggle when setting your fantasy lineups… here come the bye weeks! We’re just dipping our collective toes in the bye week pool in Week 4, as only two teams – Green Bay and Philadelphia – are sidelined by the schedule makers. But, the loss of someone like Aaron Rodgers can have serious streaming implications. If you picked one of the top-tier fantasy quarterbacks, you at minimum likely waited a long time to secure your backup, and you might not have backed up the position at all. 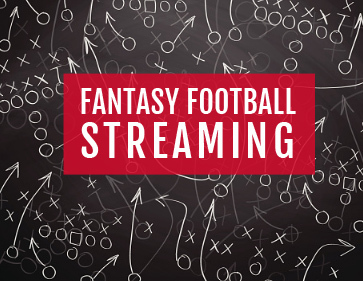 And when those QB studs hit their bye weeks, it might be your one and only opportunity to stream for the season. So, let’s make the most of it! Here are some lesser-owned quarterbacks, tight ends, and defenses with sneaky fantasy appeal in Week 4. Ownership percentages noted are representative of ESPN standard leagues. After 363 yards passing and three total touchdowns in Week 1, Smith predictably fell back to earth the last two games, averaging 211.5 yards and accounting for just one score. But the veteran signal-caller could be on the upswing again in Week 4, as the Chiefs travel to Pittsburgh for a matchup against one of the worst pass defenses in the league through the early stages of the season. The Steelers are giving up 332 yards per game through the air, second only to Oakland, and game flow could benefit Smith, with Pittsburgh, favored in a game with an over/under of 47. Smith also offers the potential to accumulate yards with his legs, further supporting his streaming status this week. Flacco also benefits from a great matchup in Week 4, facing the Raiders as mentioned earlier and their league-worst 340 passing yards allowed per game. Having already conceded more than 1,000 yards passing and seven touchdowns in just three games, Oakland will be susceptible to another 300-yard passing game as they travel across the country for a 1:00 PM kickoff in Baltimore. The undefeated Ravens have won each game by less than one possession, so Oakland should be able to hang around, and Baltimore’s ineffective ground game should keep Flacco heavily involved throughout. 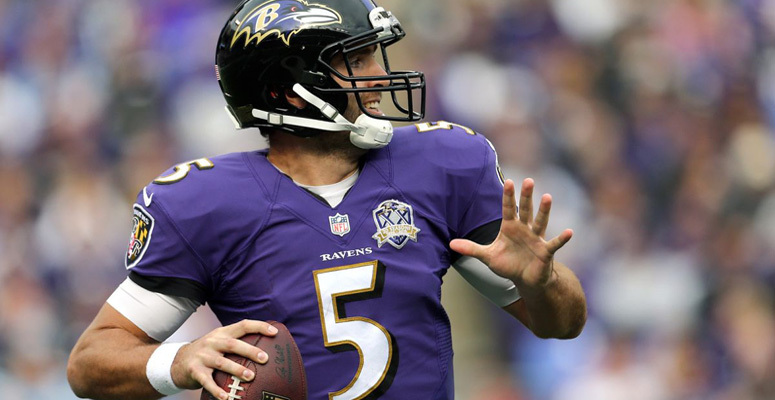 Oh, and if you like a good narrative, maybe Flacco goes off to celebrate the birth of his first daughter this week. Ah, the two-headed Chicago QB monster. Cutler missed Week 3 with a sprained thumb on his throwing hand, and Hoyer filled in admirably (at least for fantasy purposes), completing 30-of-49 passes for 317 yards and two touchdowns. This week, the Bears face a Detroit defense that has allowed the most passing touchdowns this year (10 scores in three games), and whichever signal-caller is active for Chicago will have fantasy upside. I prefer Hoyer here, assuming Cutler is ruled out ahead of the game, since Smokin’ Jay would run the risk of re-injury or ineffectiveness in his return. But both are viable streamers given the favorable matchup. Did I mention that the Lions have a hard time stopping the pass? Well, half of those 10 touchdowns given up through the air went to tight ends, and Detroit is surrendering the most fantasy points per game to the position in 2016. 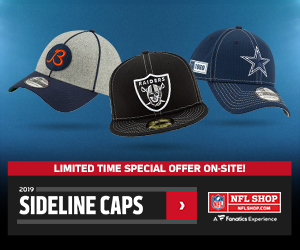 Despite erupting for eight catches, 78 yards, and two touchdowns on Sunday night against the Cowboys, Miller remains owned in less than half of ESPN standard leagues. He can be a borderline TE1 play every week, but gets my vote of confidence in a plus matchup with the Lions. If Brian Hoyer starts for Chicago, I’d bump Miller a little further up my ranks, as the two seemed to have a strong connection in Week 3, when Miller led the team in receptions and saw nine targets. Henry won the 2015 Mackey Award as college football’s top tight end and was selected by the Chargers in the second round of this year’s NFL draft, presumably as the heir apparent to Antonio Gates. However, Gates’ hamstring injury accelerated Henry’s arrival on the scene in San Diego, with the rookie catching all five of his targets for 76 yards in Week 3 while Gates watched from the sideline in street clothes. Gates was reportedly not close to playing last week and hasn’t yet returned to practice, making it likely Henry sees at least one more start in Week 4. He draws a favorable matchup with the Saints porous pass defense in a game that is projected to be the highest-scoring of the week. Following Vance McDonald’s exit in Week 3 with a hip injury, Celek took over the TE1 role for San Francisco and ended up tying for the team lead in receptions during the game. That may have been a low threshold at just three grabs, but it also came against a stout Seattle pass defense. Celek should find more room to work in Week 4 against a Dallas team that was just lit up by Zach Miller and is giving up the third-most fantasy points per game to opposing tight ends. Chip Kelly loves to feature the tight end in his offense and Celek should have a chance to produce on Sunday, assuming McDonald loses another week to injury. The Patriots seem to be pushing all the right buttons as they navigate Tom Brady’s suspension over the first four games of the year, but this is still a team led by a rookie quarterback that has completed just 17 NFL passes in his young career. Fresh off a five-sack, five-takeaway game against the Cardinals last week, Buffalo will look to ride momentum into a tough division matchup in New England on Sunday. Excluding an abysmal performance against the Jets on Thursday night in Week 2, the Bills defense has been good this year and ranks third in the league with ten sacks. Look for Rex Ryan and company to harass Jacoby Brissett, potentially forcing a few turnovers and keeping the score down. The Colts are not a good defense in real life. In fact, they might have some of the worst top-to-bottom talent in the NFL on that side of the ball right now, given a series of injuries. But weird things happen when you travel abroad, and Indianapolis gets a chance to face one of the most turnover-prone teams in London this week when they face off against the Jaguars. Jacksonville has thrown the second-most interceptions in the league this season with six, while allowing nine sacks in three games. In a relatively shallow week for defensive streamers, the Colts are a boom-or-bust option that could surprise. I recommended Miami against the Browns last week, and while that didn’t quite live up to expectations, the Dolphins did manage four sacks and a turnover. I’m guessing Washington will be better prepared for the use of Terrelle Pryor after watching last week’s film, and it’s hard not to like any defense facing Cody Kessler and a very limited Cleveland offense. The Browns are giving up the third-most sacks in the league, with 10 through three games, and the Redskins are quietly tied for tenth in the NFL with five total takeaways.